Beautiful white teeth can dramatically improve the appearance of your smile. You can have whiter teeth in only one appointment using the Zoom whitening process. Though Zoom is fast and simple, it is more expensive. Dr. Sirin also offers take-home whitening treatments that are more affordable and will get your teeth just as white. Take home whitening trays are an affordable alternative to brighten your teeth. 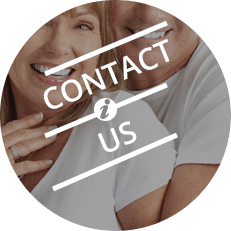 We help many people through the simple process of teeth whitening from home. Dr. Sirin will initially take an impression of your teeth. This is used to make a customized bleaching tray. You will then take these bleaching trays home with you in addition to syringes filled with a professional strength bleaching gel. Each day you place a small amount of the gel into the trays. You will need to wear the trays on your teeth for the length of time as directed by Dr. Sirin. The process is not as quick as Zoom Whitening, but as the days pass, your teeth will progressively get whiter. After just two short weeks your teeth will be noticably whiter than before you started treatment. You can continue this process to achieve even whiter teeth. Just continue treatments as guided by Dr. Sirin. Once you are happy with your bright white teeth you get to keep the bleaching trays and gel to maintain your new bright smile. Before starting any teeth whitening process an initial exam and teeth cleaning is generally recommended. The exam will ensure you do not have any hypersensitive teeth or leaky fillings that may cause discomfort. Hardened deposits on your teeth should also be removed as they can interfere with the bleaching process. Taking these initial steps will guarantee the best results for dazzling white teeth. 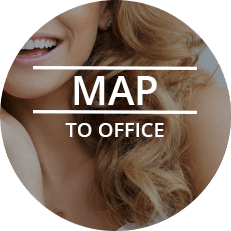 Call the office to schedule a comprehensive examination to ask any questions you may have about teeth whitening and determine which treatment is right for you.. If you are not ready to commit to an examination, you can make an appointment for a complimentary consultation to visit the office and meet Dr. Sirin and the office staff.